Recognize that sinking feeling you get when you land face-first in a snowbank and the snow gets inside your jacket? Dreading that moment after a challenging run when your sweat cools down and you start to shiver? 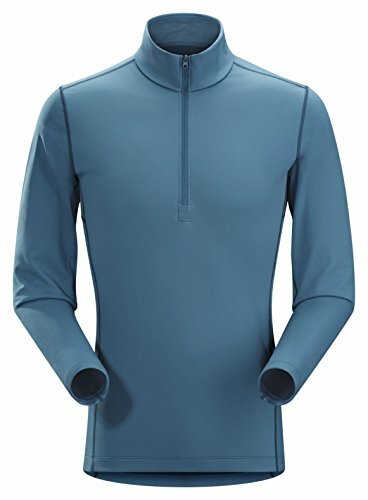 The best long underwear for skiing will insulate you while wicking away moisture from your body, meaning you can stay comfortable and confident in any situation. Here at the Adventure Junkies, we want to make it easy for you to choose your long underwear. 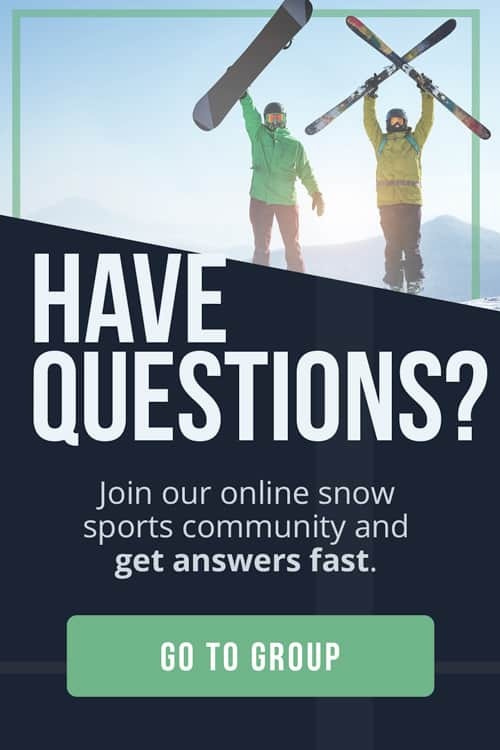 Temperatures out on the slopes can range from freezing to warm in a matter of minutes, so it’s important to have a good base layer when you’re skiing or snowboarding. 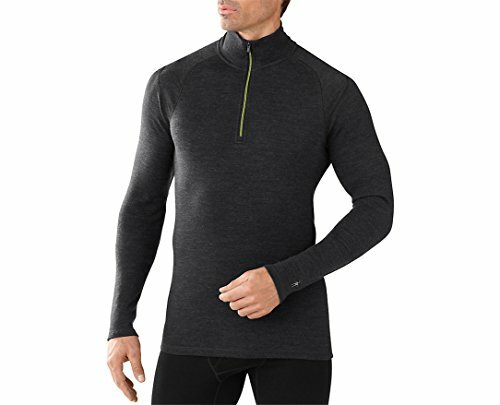 Check out our handy guide for tips on finding the perfect long underwear for skiing. The job of your long underwear is to keep you warm by keeping you dry. But, no single base layer will keep you warm enough on very cold days. 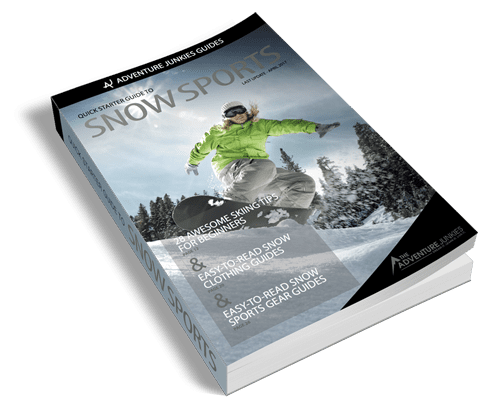 Rather than relying only on the thickest base layer you can find, you should start with a comfortable base layer and add insulating layers as needed, topping it off with a waterproof and wind-resistant ski jacket. Long underwear can come in several materials. Whatever the fabric, remember to choose a breathable, quick-drying fabric that will regulate your body temperature and keep you dry while you’re skiing and in the lift. Unlike traditional scratchy wool, the wool from this type of sheep is extremely soft thanks to its tinier fibers. It breathes and wicks well, adapts to different temperatures and keeps you warm even when it’s wet. 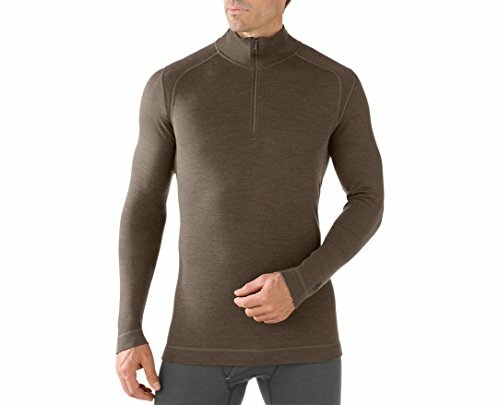 As an added bonus, merino wool is incredibly odor-resistant and can be worn a few days in a row without starting to smell. The downside is that merino wool is expensive, and it’s not as durable as some synthetic materials. It is easy to wash but can lose its shape with repeated washing. Some types of wool can also irritate sensitive skin. Synthetic materials usually refer to some kind of polyester blend, sometimes with wool and often with spandex or elastane for added stretch. Although not yet at the same level as merino wool in terms of temperature regulation, synthetics are continuously improving. Many synthetics are quick-drying and effective moisture-wickers. They are durable, stretchy and can retain their structure better than wool, all while being cheaper and featuring a better warmth-to-weight ratio. The big downside to synthetics is that it lacks the natural antibacterial properties of wool, so it can get really smelly in just a day. On the bright side, they don’t require any special care so you can wash them as often as you need. 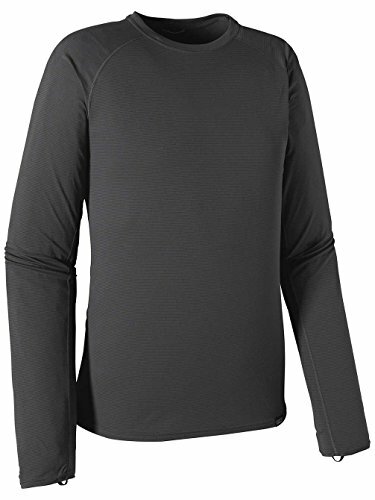 This luxuriously soft fabric will keep you nice and warm and it can be chemically treated to improve its wicking performance. A huge advantage is the excellent warmth-to-weight ratio. Silk is by far the thinnest base layer, which makes it practical for layering. Unfortunately, silk isn’t very breathable so a silk base layer will get a little uncomfortable when it gets warmer. Silk is also expensive and delicate, so it requires hand-washing. All these things considered, silk is perhaps best suited for glove and sock liners. While cotton is a popular choice for t-shirts, it’s a terrible choice for ski clothes. Cotton traps moisture and doesn’t let it evaporate, which can be dangerous in changing temperatures. Avoid cotton at all costs and opt for synthetic material instead if price is a factor. 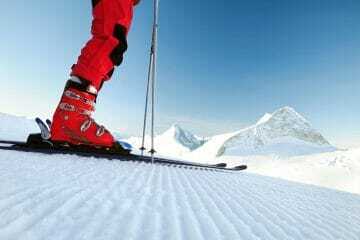 The weight or thickness of a base layer is among the most important factors in determining its warmth. Long underwear is divided into four categories. While these vary by brand, they are almost always expressed in terms of ounce per square yard or weight per square meter. A lower weight indicates a quick-drying, breathable fabric designed for use in warmer conditions. Meanwhile, a beefier product will be more durable and keep you warmer. When choosing your weight, you should consider not only the conditions you anticipate but also things like the wind factor, your activity level and the way your individual body deals with heat. 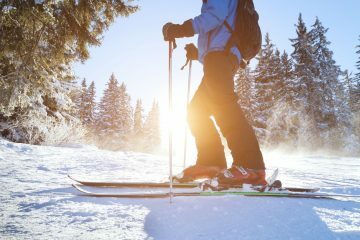 This ultra-thin material is designed for very mild conditions, so it won’t be a good idea for you to use this for a day on the ski hill. 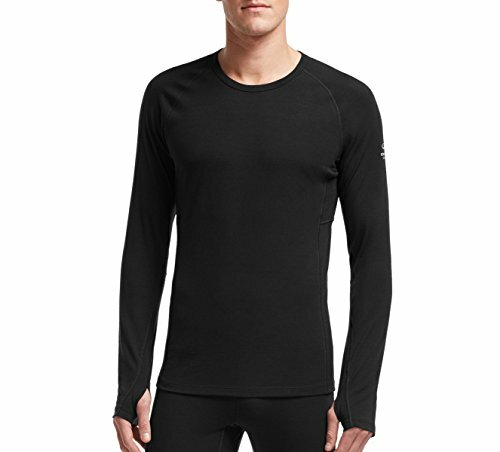 Standard lightweight base layers are thin and perfect for layering. With a snug fit, you’ll benefit from great moisture-wicking. Lightweight layers are best suited for milder conditions. 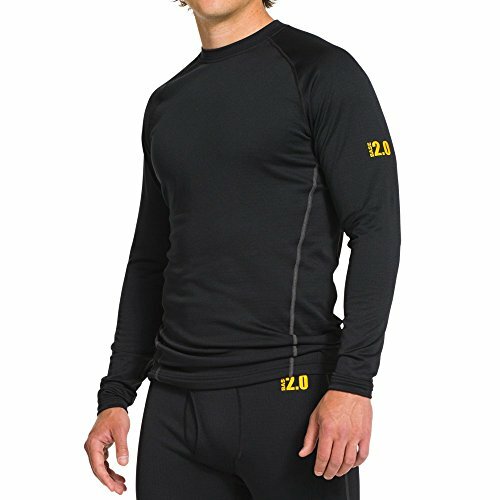 Midweight materials, which simultaneously insulate and wick moisture, can be used as a base layer or worn over a lightweight base. They are the perfect choice for sweaty exertion followed by cold lift rides. 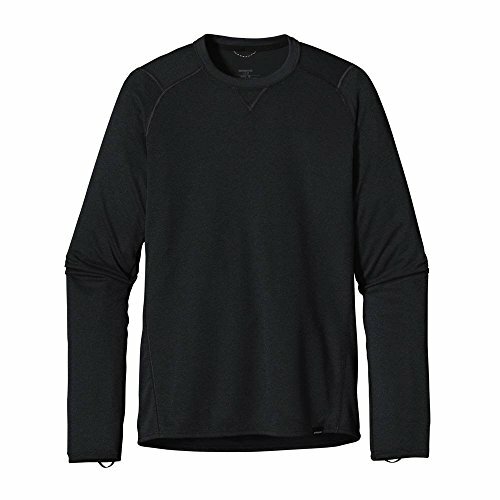 Heavyweight materials are usually worn over a snugly fitting lightweight base layer. They help keep you warm in extremely cold conditions, but they are worn looser and are not as effective at managing moisture because of their thickness. Most long underwear is just that – long. However, some people favor three-quarter-length pants which are easier to pair with ski or snowboard boots. Choose a top that comes just past your hips so it won’t ride up. Shirts can be short-sleeved. But, remember that most base layers are designed to keep your body temperature stable even in warmer temperatures. 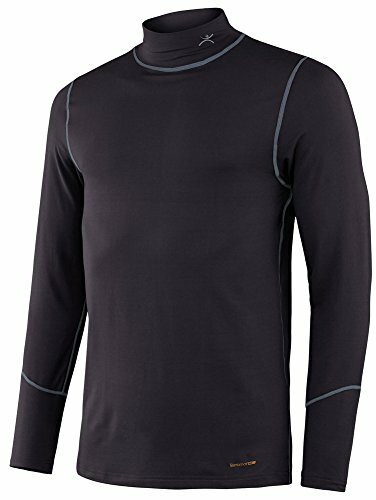 In Arctic conditions, you might consider a one-piece base layer with a hood, which will keep out the cold air. The fit of your long underwear depends on the material. In warmer temperatures, you can permit yourself looser long underwear for more air circulation. 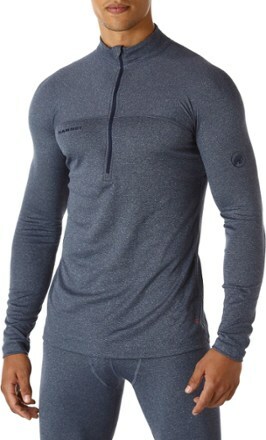 The snugger or more “athletic” the fit, the better it will retain warmth and wick moisture away from your body. This is why silk and other lightweight materials are good options for the base layer. Let’s face it, you won’t be winning any prizes for sexiest long underwear. Expensive models are often more stylish but ultimately, the choice is up to you. Long underwear can come with anything from zippers to thumb holes to built-in pockets, hoods and mittens. 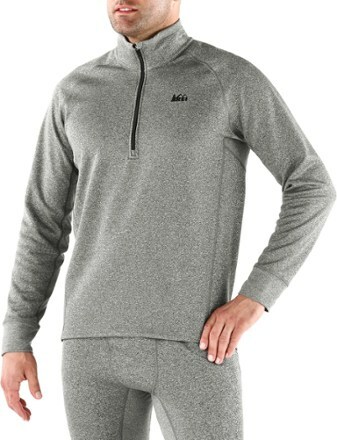 Some people prefer crew necks whereas others like the flexibility of a zip-up. A few models even boast venting or SPF protection. All these add-ons come down to personal preference. Because they are usually made from petroleum-based polyester, synthetics are not the most eco-friendly choice. One option is buying from brands like Patagonia that claims to use recycled material in their synthetic materials; or Tasc which uses bamboo and avoid chemicals. Another ethical problem arises in the sourcing of merino wool. If possible, look for wool from sustainable sources that avoid museling.